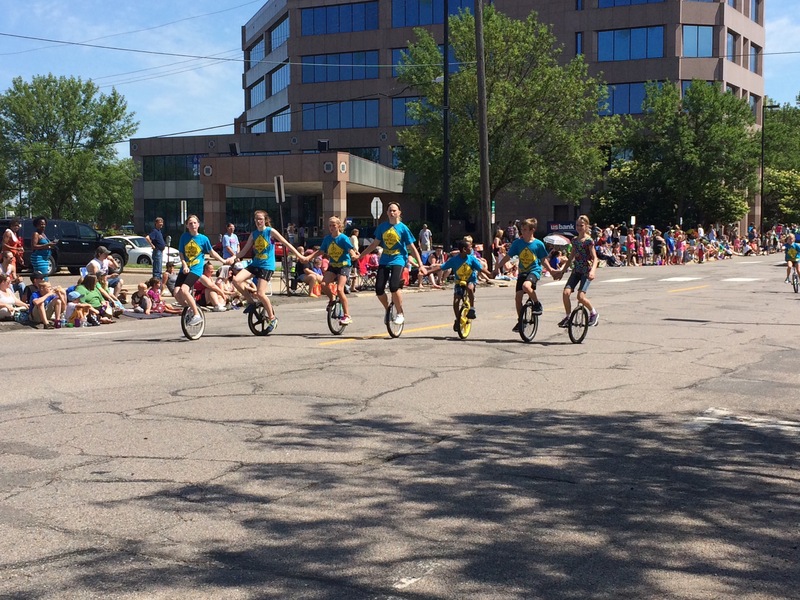 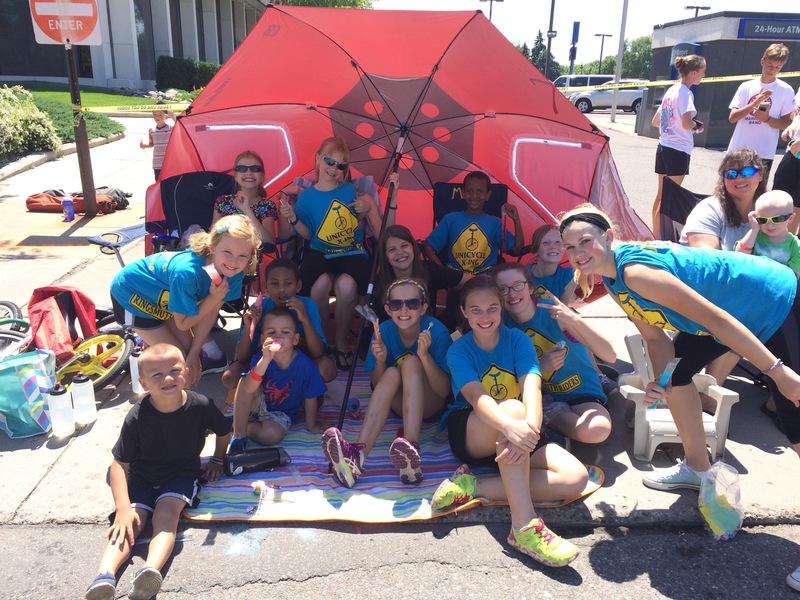 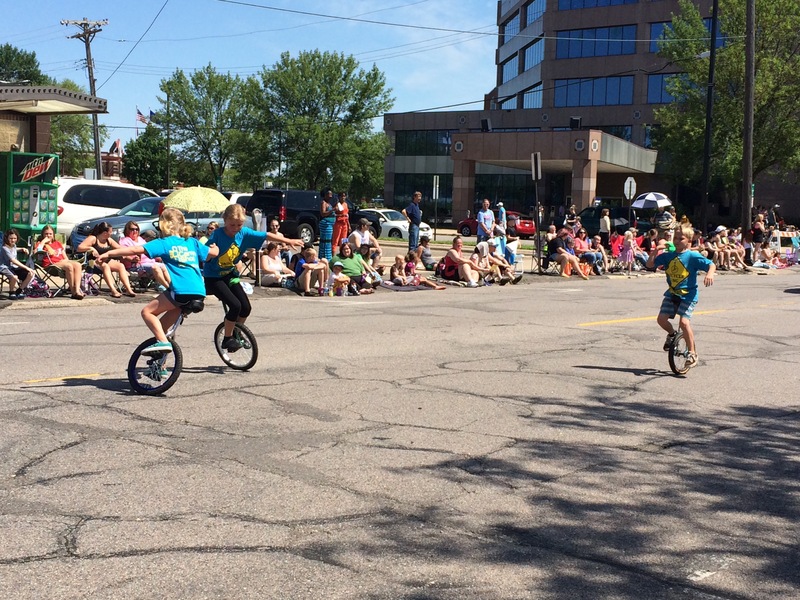 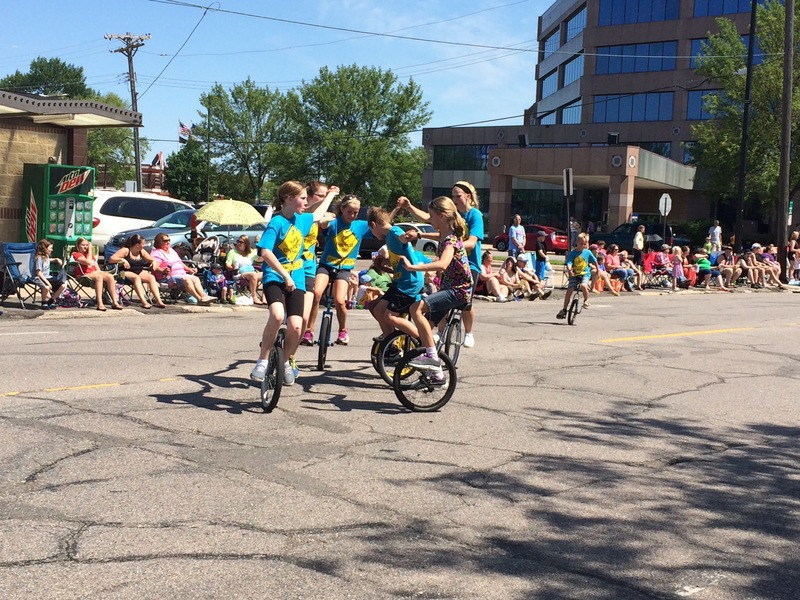 Lydia, Adie, Silas and Titus rode unicycle today in the St Cloud Parade. 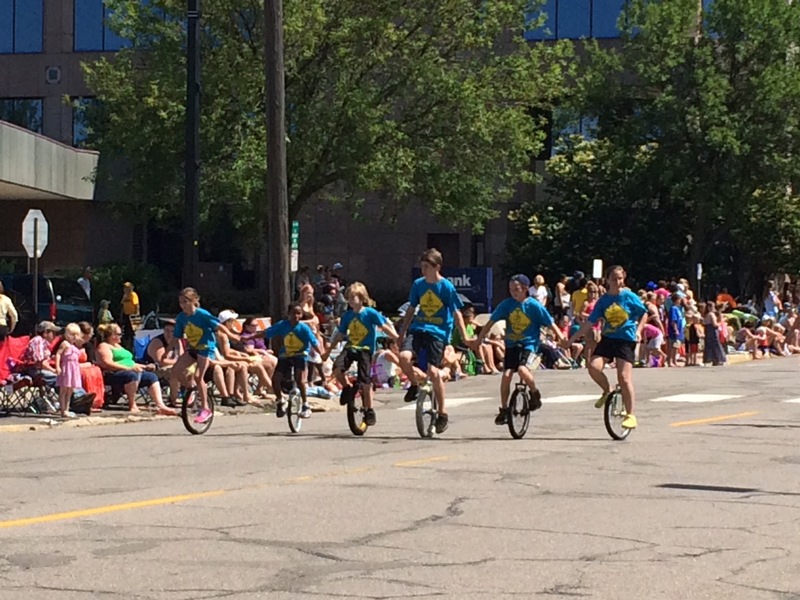 I was a proud Momma! 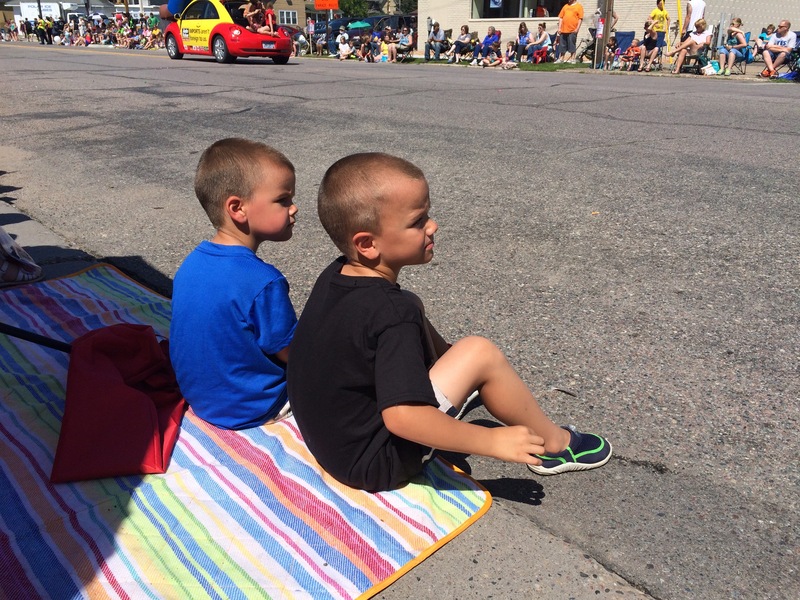 Max and Jack trying to be patient.